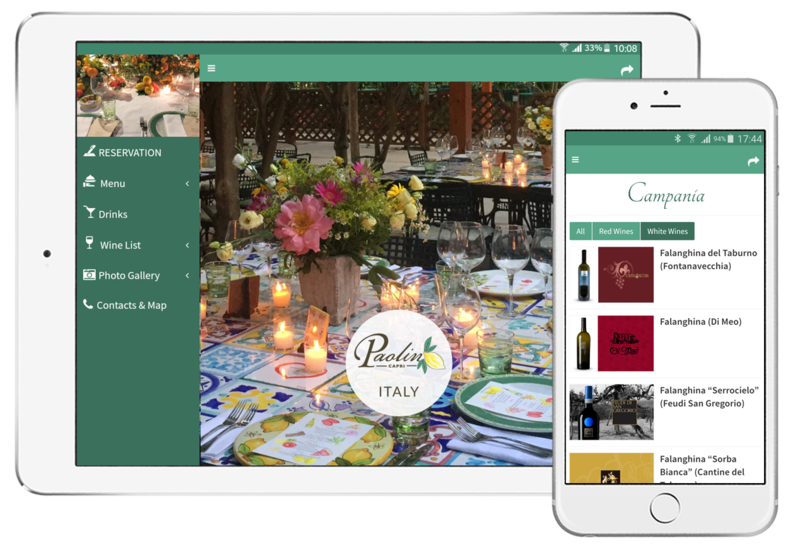 A new way to discover the tasteful cuisine of the exclusive and famous Restaurant Da Paolino in Capri, Italy! Choose your favourite courses in menu and make your RESERVATION by your mobile device. You will found the menu, with photos and details of the ingredients, and a selection of more than 300 quality wines with food-wine pairing suggestions. In the Photo Galleries you can see the magic atmospere of the famous lemon garden of Paolino. Don’t forget to share the app on your social network!